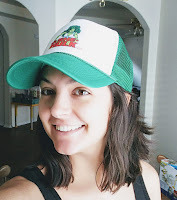 Synopsis (via Goodreads): This new book from Sara Levine features a cantankerous talking cactus as a narrator, revealing to readers the significance of different colors of flowers in terms of which pollinators (bees, bats, birds, etc.) different colors "talk" to. A fun nonfiction presentation of science info that may be new to many kids--and adults! "We sit here growing, minding our own business while you guys go on about how red roses stand for love and white ones are good for weddings and all kinds of mushy, ridiculous stuff. What a load of fertilizer!" I loved this! We loved this! You'll love this (at least I hope you will)! Flower Talk was funny, witty, and educational. The narrator is the purple cactus you see on the cover, and the kiddos and I enjoyed its grumpy, straightforward attitude. I laughed! We laughed! You'll laugh (at least I hope you will)! Flower Talk is a story about plants and how they survive. It talks about pollination, how a flower's coloring attracts certain insects, and what those insects do to ensure their survival. Butterflies are more likely to land on this color, while bees prefer that one, and flies are (unsurprisingly) attracted to the flowers that smell terrible. "The flower gets pollen, but the fly gets nothing. The only rotten thing around here is the deal." This may be a children's book, but I immediately wanted a copy for myself our shelves! We've read it many, many times now, and it's quickly becoming a bedtime favorite -- especially with the amazing illustrations! The pictures grab your attention and make it really hard to turn the page. 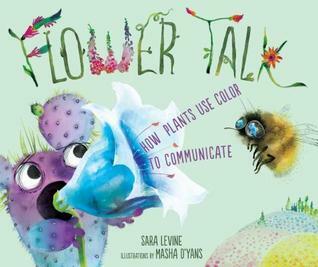 Flower Talk is the whole package: a fantastic story with wonderful illustrations and a little education on the side (there's additional information at the end that's pretty great, too). Side note: I decided to Google the illustrator, Masha D'yans, to see if any other books popped up (yes, the illustrations are that good), and stumbled across a calendar! 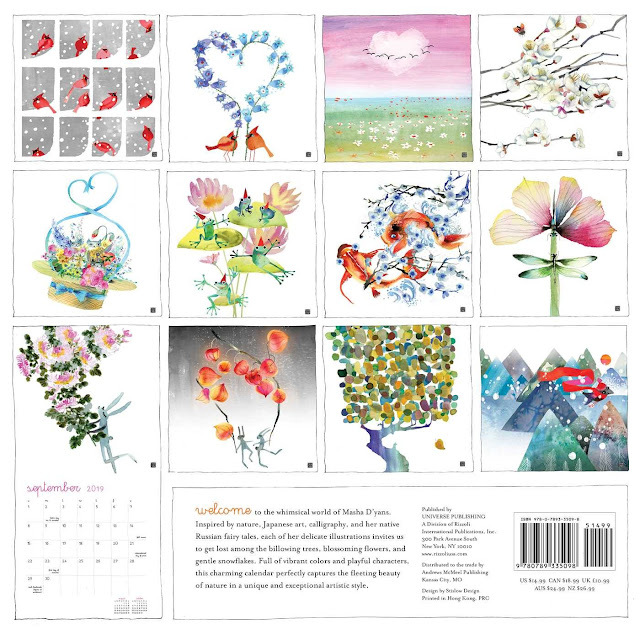 You can buy D'yans 2019 calendar on Amazon (no affiliate links here), and it's stunning! I've already ordered one for myself. This sounds utterly adorable! And I love that you were inspired enough by the illustrator to buy her calendar. It's an amazing book! I honestly loved everything about it. This book sounds absolutely amazing! I'm going to have to watch for it at our library, for my kiddos! And the pictures in the calendar are breathtaking. You stumbled across such a gem! Oh gosh, I absolutely love this Linds! I love kids books with attitude and this grumpy cactus has already won me over. Mixing humour with incredible illustrations and kids will want to learn. I'm going to need a copy for my shelves too, I can't wait to see what a physical copy looks like! I'm thrilled you all loved this one, such a beautiful review Linds. That sounds like a fun book to get for my grandson. It was a fun book for me, haha. I really think both children and adults will like this one. Oh this does sound super cute and fun :) I remember being super fascinated about everything that had to do with pollination and plants reproduction when I was little. I'm sure my kids would love this too! The narrator is perfect for this type of story because it kind of tricks kids to learning something new. I love art in picture books. It's awesome that you felt compelled to look at the illustrator's work. Hah! Yes, he was somewhat similar to Oscar the Grouch (my kids love Sesame Street). It was humorous, fun and informative -- loved it!